Zombie Squash has received free full version releases and is the perfect title to check out this Halloween. 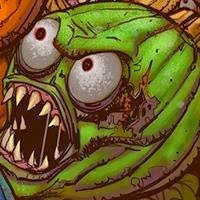 Zombie Squash 2.0 with great voice talents from George A. Romero (Night of the Living Dead) is now available for free on iPad and Android. Players looking to pick up Zombie Squash on iPhone can do so very soon. Read on to check out a fun new trailer if you dare! To learn more, visit the official Zombie Squash website.